We recommend reviewing the categories & the Black Tie Awards Rules before submitting your nomination. Customer Service: Recognition for demonstrating excellence in customer service, going above and beyond the call of duty. Nominees are always ready and willing to help with a smile. Sponsored by London Drugs. Volunteer: Recognition for giving extraordinary help or care to individuals, families, non-profit or charitable groups, and community service or humanitarian causes. Green Business: Recognition for success in operating a business that implements environmentally sustainable practices; demonstrating leadership in lessening their impact on the environment by reducing, solving or avoiding environmental issues. 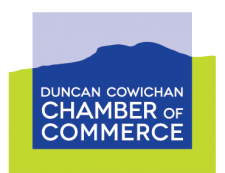 Founded and sponsored by Economic Development Cowichan. Art in Business: Recognizes an individual who has developed a successful, growing business creating and selling their art, and who demonstrates sound management, leadership and community commitment. Sponsored by Brentwood College School. Sponsored by Brentwood College School. Business Achievement 1 - 10 Employees: Recognition for operating a successful business or social enterprise and demonstrating initiative, community involvement, sound business management, creativity and consistent growth. Sponsored by Community Futures Cowichan. Business Achievement 11 - 19 Employees: Recognition for operating a successful business or social enterprise, and demonstrating initiative, community involvement, sound business management, creativity and consistent growth. Sponsored by H. W. Wallace Cremation & Burial Centre. Business Achievement 20+ Employees: Recognition for operating a successful business or social enterprise, and demonstrating initiative, community involvement, sound business management, creativity and consistent growth. Sponsored by Grant Thorton.